How is rattan furniture fabricated? Does rattan go with Scandinavian homeware? Rattan furniture is an attractive, eye-catching element in your interior. It brings along resilience, flexibility, and adaptability and stands for sustainability in development, sourcing and use. Explore the fastest growing tropical wood that is the balance-keeper in the rainforest. 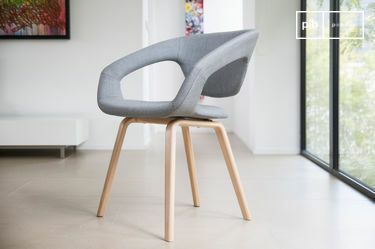 Discover the possibilities this natural material has to offer. Opt for rattan garden furniture that withstands hot, cold, wet and dry weathers, and combine rattan pieces with your Scandinavian homeware. Let us inspire you to be creative with rattan furniture! Rattan is a natural material used for rattan furniture. In general, it is a climbing palm, which develops as a vine in the jungle. The vines of the rattan grow up the tropical trees, starting at the bottom of the rainforest, and can reach a length of up to hundreds of metres long. This is not something you can probably grow yourself due to the need of a tropical climate, the palm itself is vine like and is characterised by its solid stem. The vines themselves can grow as long as 200-500 feet and when harvested is typically cut into 13-foot lengths and left to dry in the sun. This is proceeded by a quality assurance process that ensures that the rattans retain their straight form and then are graded by their size in diameter and overall quality and is then sent to furniture manufacturers and artisans who have perfected the craft. In most cases rattan is created in order to create pieces of furniture. Rattan is a fantastic plant benefitting not only the rainforest, but also the atmosphere as a whole. The plant used for rattan furniture grows naturally without interrupting the present structure and balance of the rainforest. In addition, rattan cleans the air by converting CO2 into clean air. Rattan is an exceptionally sustainable wood, being the quickest developing tropical wood that renews in only 5 - 7 years. Rattan furniture manufacturing is low tech, not requiring production facilities that pollute the environment. Typically the rattan wood is stripped of its skin in order to be used a material that can be weaved into many different objects. The genius of this product is its lightweight properties and durability, as it is possible to leave it outside in most climates. A testament to rattans flexibility and ability to withstand weight and the elements is the fact that it has been used to construct some parts of homes in the past by the natives of rattan rich countries. In order to fabricate rattan furniture, the thorns are removed, which leaves nodes on the stems. Before the stems can then be made into furniture, the outer skin needs to be removed. The advantage of rattan furniture, as opposed to, for instance, bamboo, is that their stems are solid and tough, as well as flexible. Rattan furniture is exceptionally resilient and can last for decades. Both the rattan stems and the outer skin are utilized in the production of rattan furniture, where they are employed for different parts of furniture. These involve the woven elements and the structural framework. These ancient techniques date as far back as the rule of the Pharaohs over ancient Egypt. Initially used as a basket weaving material as mentioned before, it was also used to create various rattan homeware for the Egyptians, evidence of this was found in the tombs of pharaohs. This design style inspired the design of some furniture created by the Roman Empire and was spread across its empire. 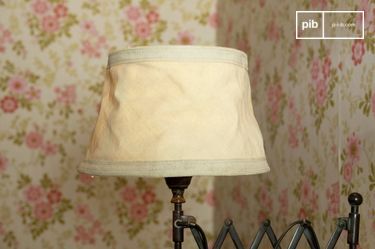 This material was first introduced to the western world in the 19th century and was ordered by many because of its light tone and texture that gives off a tropical feel. Just to clear any misconceptions rattan is not by any means the same thing as bamboo which was also used to create furniture in the early 1900?s. Wicker is also a term that may lead to some confusion due to its undoubted association with rattan. The term wicker refers to any product that has been created by being weaved together with natural materials such as rattan amongst other plant fibres. When the British Empire was at its highest peak rattan was brought back to the west with the many families that were stationed in the tropical regions of Asia. The furniture was mostly used in an outdoor environment but then eventually made the décor transition to interiors and became highly popular and created a real craze for the new material. By the turn of the 20th century rattan began to circulate in the US as people making their way across the pond decided to bring their tropical reminders to America. The supply of Rattan has been called into question in the past and has become limited due to government provisions to protect domestic manufacturing industries. Indonesia for instance introduced an export ban on rattan sent to overseas manufacturers in order to strengthen their own industry. Aside from the economic aspect that has limited supply, backlash due to the overproduction and consequent deforestation of rainforest where the plant is found. This has contributed to the limited supply of rattan which has slowed down the industry. However sustainable practices and programs have been adopted by many governments in order to ensure the ethical and sustainable cultivation of rattan. These programs have ensured the long term supply rattan and provide a feasible option to meet the demand for supply. 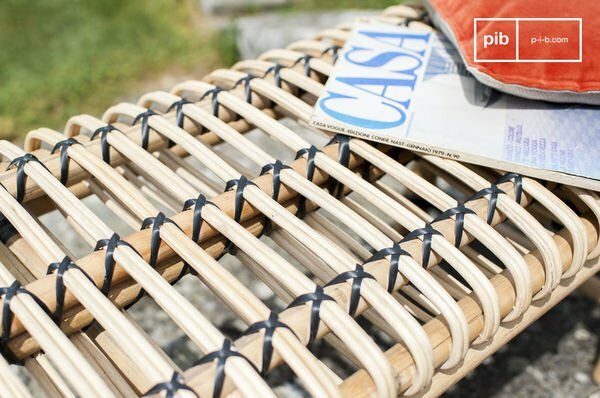 Due to its resilience, the sustainable wood can easily be used as rattan garden furniture. Rattan can confidently deal with both high and low temperatures, making it fit for use in summer and winter. Rattan garden furniture can also handle fluctuations in temperature and even humidity, typical for the autumn and spring seasons. Due to all these advantages, you can use rattan furniture in many different situations, which is especially beneficial when placed in your garden, a place exposed to all weathers. This natural, resilient, flexible and sustainable tropical wood might just be the perfect choice for you! On one hand, you can choose from different colours and looks. On the other hand, there are also various rattan garden furniture pieces, usually seating or storage furniture, that you can welcome in your exterior. Concerning the looks, you may opt for rattan furniture in its natural light yellow state or for stained and varnished pieces in different colours, created by debarking and sanding down of the cane creating a nicely smooth surface. You may combine a beautiful rattan coffee table with your existing outdoor furniture. 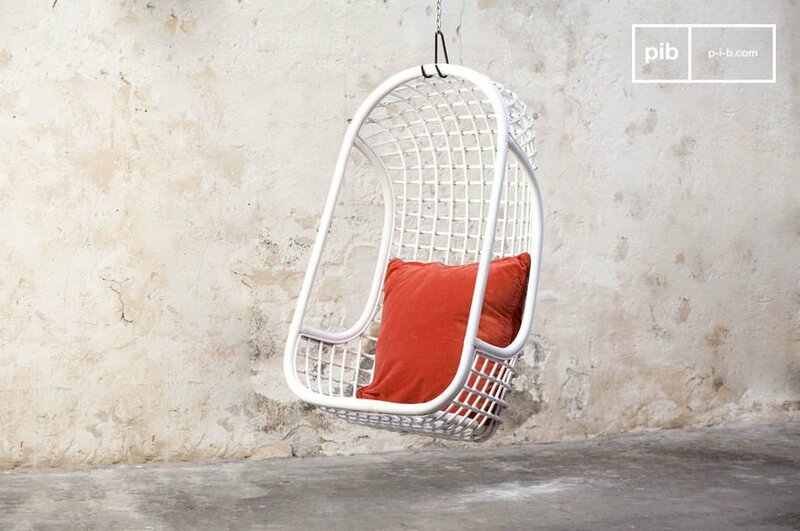 Or why not install a hanging chair on your roofed terrace or front porch for a light and airy reading space? You will enjoy the extravagant experience! Yes, it certainly does! Don't be intimidated by this extravagant material. It offers great possibilities when combined with other furniture. Especially Scandinavian homeware offers the right framework for the inclusion of rattan. 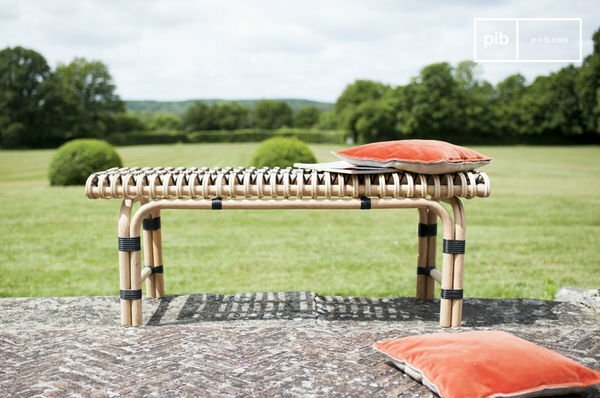 The natural nature of the rattan wood integrates astonishingly with various Scandinavian furniture pieces. Furthermore, the look and oftentimes white or beige colours of rattan furniture align coherently with the shapes, patterns and colours of Scandinavian homeware. Feel inspired by the versatile application possibilities. 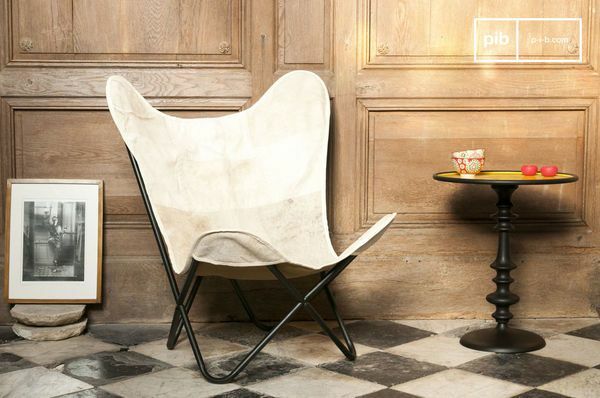 Be creative and experiment with different combinations of rattan furniture and Scandinavian homeware. There are several ways to combine rattan furniture and Scandinavian homeware. 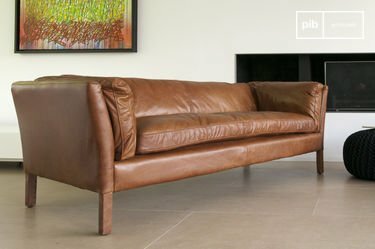 For a complete natural feel in your living room, for instance, you may opt for a whole rattan sofa set, complemented by Scandinavian decorative accessories, such as playful cushions with Nordic design. To create a subtle rattan touch, you can position a white hanging chair in a room corner with a colourful cushion near a Nordic sideboard. You may also place rattan dining chairs on a solid wood Scandinavian dining table. 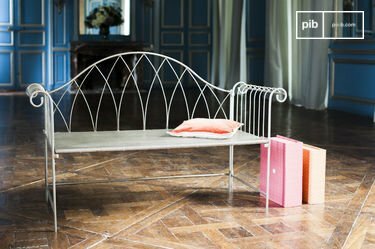 Are you looking for a unique table for your reading corner? Why not place a beige rattan coffee table in front of a sleek dark armchair with typical Scandinavian lines? The possibilities are endless.. If elegance is something you plan to add to your garden, rattan garden furniture might be exactly what you?re looking for. Whether placed on a terrace looking out to your garden or placed in your garden surrounding a metal fire pit, rattan will add a touch of grace that will bring some much needed charm to create the inviting ambiance we are all looking for. Ideally rattan garden furniture should not be left in the rain as it will wear much faster, a perfect setting in your backyard would be under a covered terrace or in a gazebo to add a rustic touch to your outdoor seating areas. Rattan chairs could also make for a brilliant addition to an outdoor eating area, a variety of chairs could add some eclectic flare. Covering your rattan garden furniture chairs with patterned throw pillows could also provide the perfect accent to the natural rattan and surely provide added comfort and help diminish the direct pressure of someone sitting on the chair. Rattan does not have to be exclusively used with furniture, the ability to easily manipulate rattan has allowed for it to be used for the creation of many accessories and various other objects. Everything from the common baskets to lamps and picture frames have been made out of rattan and there is no indication that this fervour for rattan will end soon. 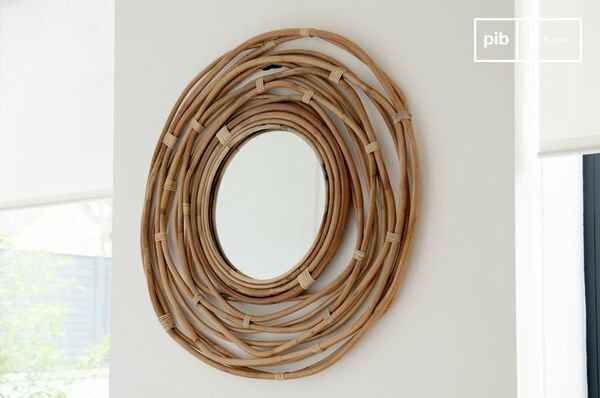 Some decorative items that could compliment the use of rattan furniture or even serve as a natural accent to a Scandinavian décor include rattan framed mirrors, large bowls, flower pots and of course baskets, just to name a few.